Wales Touch Association broke the sporting mould when they launched the six brand new regions that competed at the inaugural National Championships in April 2013…each of the regions were given a bilingual name. When Wales Touch Association (WTA) presented the names and branding for the Wales Touch Nationals held for the first time in April 2013, they created history by being the first sporting body in Wales to create sporting franchises with bilingual names. Welsh-language television broadcasters, S4C use the translated version of many teams in the British Isles, for example, Caeredin when referring to Edinburgh Rugby, Caerloyw for Gloucester and Gweilch when discussing the Ospreys. Many Welsh language publications or TV and radio programmes would also use direct translations when describing Cardiff City FC’s Bluebirds as Adar Gleision or Swansea City’s Elyrch (Swans). However, this is the first time that the owners of a brand, in this case a regional representative team, have proactively named the regions in both English and Welsh and reflected this in all of the branding. So why have the WTA done this and why is it important? In Wales, around 1 in 5 people speak Welsh but the 2011 census shows that the traditional Welsh-language ‘hot beds’ where the language is the predominant language are reducing. There are many varied and complex reasons for this which won’t be covered here. Despite the fact that approximately a quarter of school children in Wales are educated through the medium of Welsh and all children in Wales are taught Welsh as a second language in school, there are precious few opportunities for youngsters to use and develop their Welsh in their recreation time. There are excellent organisations such as the Urdd who exist to give people opportunities to use their Welsh. However, once young people grow up and leave school, they may have limited opportunities to use their Welsh skills. Some young people will simply stop speaking the language, seeing it as something belonging to the classroom or even worse, an embarrassment. If the language is to survive – and the fact that it may not is a scary reality, then it’s use must extend beyond the classroom and into everyday life. It needs to be seen and heard on the street, in shops, on TV, on the radio, in gigs. In short, it needs to be normal for Welsh to be heard everywhere in Wales. Even in the areas where it’s a tiny minority, those that chose to use it should not face an uphill struggle or have to protest in order to do so. There is some truly excellent work being done to ensure that public services and to a lesser degree, large private companies act responsibly and offer some or all services in Welsh. Some organisations such as HM Customs & Revenue have outstanding Welsh-speaking staff and it is possible to phone the Welsh help line to deal with tax matters in either language equally. However, many of Wales’ sporting bodies have not truly embraced bilingualism and it is they that can really lead by example and encourage youngsters to not only use their unique language, but to be proud of it. The Welsh rugby team is crammed with Welsh speakers, such as George North, Rhys Priestland, Jamie Roberts, Jonathan Davies, Mike Phillips and Ken Owens to name but a few. Imagine a ‘Use Your Welsh’ campaign featuring these players. This could truly hit home with youngsters who idolize their heroes. In fact, of the 11 National Governing Bodies (NGB) in Wales that receive over £400,000 of public funding, only three of them have a Welsh language policy. Of the 42 NGBs that received public funding in Wales, 37 of them operate English-only websites. In fact, it is sad to note that there is currently a campaign against the Welsh Rugby Union. The WRU have been criticised for failing to provide supporters with the ability to access their services in their native language and pressure is mounting on them to communicate with their customers equally in both languages. Cymdeithas yr Iaith Gymraeg (Welsh Language Society) are calling on the WRU to not only update their Welsh-language policy, but to operate their social media and websites bilingually, develop Welsh-medium courses and make all promotional materials bilingual. The predicted costs for doing so are minimal but it does take some extra time, effort and patience to do so. Compare this to the WTA; an amateur organisation that is completely self-funded and does not receive any outside grants or sponsorship. It creates very little revenue and does not employ any staff. It is run purely by volunteers whose love for the game is what keeps them putting in the hours behind the scenes. So to decide to not only create Welsh names for the new regions, but to display them equally on the team logos is impressive and should be applauded. The WTA does not yet have a Welsh-language policy, but it’s social media streams have been posting bilingually and the will is there for the organisation to operate bilingually. The WTA’s new website is also being developed to be available in both Welsh and English. So to the Wales Touch Association executive board, I thank you for leading the way and long may this continue so that young people can see that Welsh is part and parcel of life in Wales and is something to be proud of. Perhaps some of the other sports bodies in Wales which receive £400,000+ a year of public funding will soon follow suit. The West Wales regional team is now a reality with the announcement of the first ever regional training camp on Sunday 27th January from 2 – 5pm in Parc y Scarlets Training Barn. 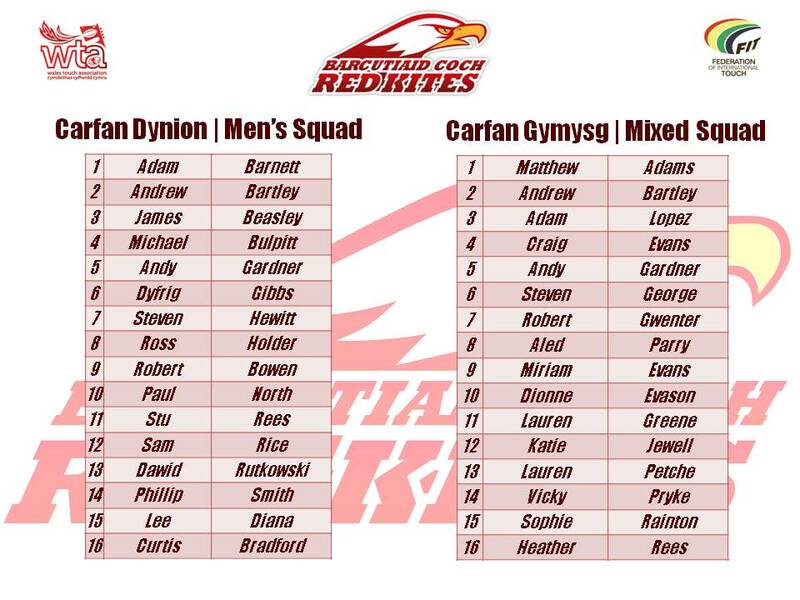 The Regional Coaches will be Gorllewin Gwyllt’s, Matt Adams and Wales Mens Over 30 player, Christen Jones. Since this is a brand new regional format, the question is who is going to make up the team – so do you think that you have got what it takes to play at the regional level? Wales Touch Association (WTA) has just announced the inaugural Welsh Nationals Tournament in April 2013. The country is to be divided into six brand new regions who will compete over the weekend of the 6th and 7th April (location TBC). The West Wales region will include men and women that reside in Carmarthenshire, Ceredigion and Pembrokeshire and will be coached by Matt Adams and Christen Jones – supported by WTA’s new Elite Performance Director, Simon Williams. The aim is for each region to field a men’s, women’s and mixed team in the Nationals and we will be doing the best we can to ensure that West Wales fulfils each category. Anyone that is interested in playing regional Touch is called upon to come along to the first session at Parc y Scarlets at the end of January to show what they can do. The session will include training drills as well as game time. So What Are The Main Attributes That The Coaches Will Be Looking For? Anyone that is interested should be aged 15 years or older as of 1st January 2013 and should register with Nationals co-ordinator, Gareth Revell. All players that have been selected for Wales’ national preliminary squads are to participate and will be contacted directly in due course. We also hope that those players that were not offered a squad place for Wales, following the recent Wales trials, will come to the regional sessions. A series of training sessions in various locations across the region will take place in preparation for the April tournament. Costs will be kept to an absolute minimum, but players should be aware that contributions towards kit, facility hire, tournament fees etc will be requested. We’re really looking forward to taking on the best of Wales and immensely proud to be involved in this exciting new chapter of Welsh Touch. 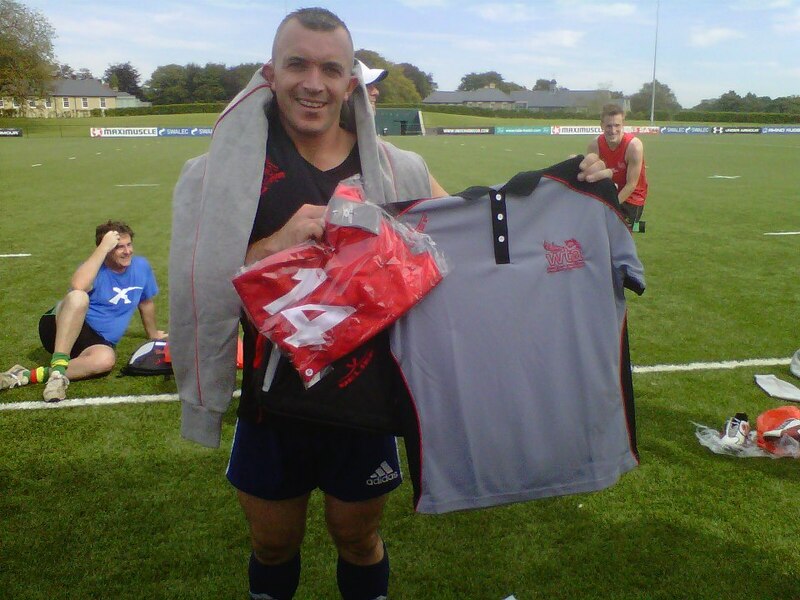 Wales Touch Association announce that the inaugural National Championships will be held in April 2013. Six regions are to be formed and will compete in Mens, Womens and Mixed open categories. The West Wales squad will be made up of players residing in Carmarthenshire, Ceredigion and Pembrokeshire. So why is this announcement so important for the development of Touch in Wales? In Wales in 2012, there were less than 3,000 men and women playing Touch (WTA figures). The overwhelming majority of Touch is played in Cardiff and therefore the national teams are little more than Cardiff regional teams, peppered with a handful of players from Swansea, Wrexham, Llanelli and some of the main English cities. Compare this to England where there are already national club competitions (National Touch Series and Challenge Touch Series) as well as an inter-regional competition in which regional franchises compete. The best regional players are then chosen to represent at national level. There are more Touch players in England (approximately 5,500 according to ETA) and with the regional structure, it is little wonder that they are the current European Champions. Considering the low number of participants, Wales has been punching above it’s weight at international level for some time, even winning the 2010 European Championships. However, the current model is not sustainable and Wales badly needs to encourage more people to play the game or it is in danger of being left behind. Although Touch was introduced to Cardiff in 1991 by Dave Swain and Paul Nepia, as recently as 2011 the only places you could play regular competitive Touch outside of Cardiff were Llanelli, Pontyclun, Swansea and Wrexham. However, this is set to change with the 2012 partnership agreement between the WTA and Welsh Rugby Union which has seen Touch being introduced to new territories via the WRU’s 14 Participation Officers (PO). Part of the PO remit is to run Touch leagues for adults and this has resulted in leagues starting out in Bridgend, Newport and Neath amongst others. It won’t be long before some of these players are filtered through to regional teams and then national teams. Since the formation of the Llanelli league in 2010, it has already produced two players that have played in the Touch World Cup and Touch European Championships. In order for Touch to grow and flourish in Wales it is essential that the game is played in all areas of the country. Obviously, Wales is a small country with a small population and we are not quite ready to target reaching the 500,000 registered members as Touch Football Australia is planning in their latest strategic plan. The National Championships is a huge step in the right direction. Coaching positions have been advertised for each of the six regions and it is hoped that there will be a men’s, women’s and mixed open team for each region. The biggest challenge is that there will have to be active recruitment of players in regions that have little or no history of Touch being played competitively. However, this is precisely why the championships are so important. Once social league players realise that they could play at regional or even international level, the profile and status attached to the game will undoubtedly rise. It stands to reason that the more people playing the game, the better standards will become, resulting in more competition for places in national teams. The west Wales region encompasses Carmarthenshire, Ceredigion and Pembrokeshire and it is fair to say that the men’s open team will be made up almost entirely of Llanelli based players considering that is still the only active league in the region. Finding women to make up the women’s and mixed west Wales regional team could prove to be difficult since there was no Llanelli mixed or women’s league in 2012. 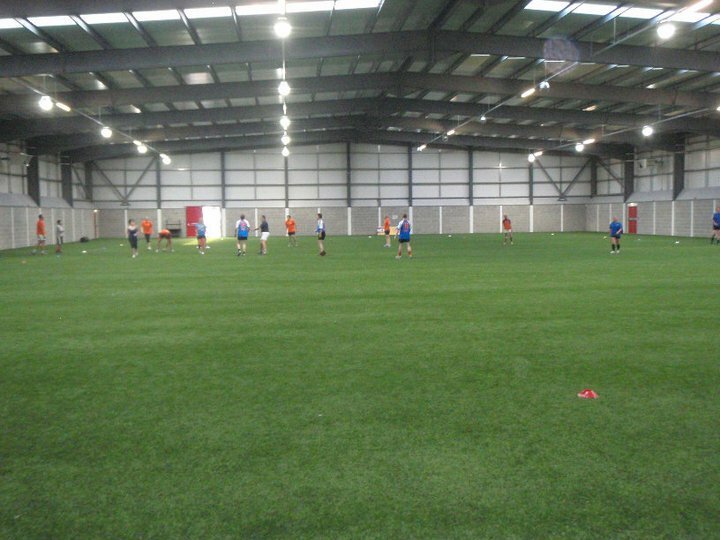 However, attendance at the recent Wales national trials was extremely encouraging with a large female contigent. Even more encouragingly, a number of them were selected for the Welsh prelim squads for the 2013 Home Nations Tournament in Dublin. It just goes to show that there is great talent across the country, it’s just a matter of getting the structure right in order to develop it further. The new regions will compete over the weekend of the 6th and 7th April (location will be announced soon). Players are eligible to participate if they live in Wales or are otherwise eligible to represent Wales, and must be WTA members. All current national squad members are to participate. Regional qualification is primarily determined by residential address. For players not living in Wales, qualification is determined by birthplace. Interested players and referees should complete the registration form and return it to gareth.revell@hotmail.co.uk.